In 1919 when South Charleston was incorporated, the first City Hall was built near the corner of “D” Street and MacCorkle Avenue. 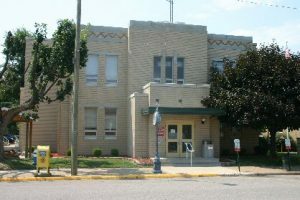 City Hall, (shown above) was built in 1939 and is located on the corner of “D” Street and Fourth Avenue. The City Hall Annex, built in 1960 sets to the right of the main building. The City Hall office hours are from 8:00 A.M to 4:30 P.M. Monday through Friday. 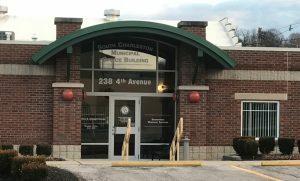 The South Charleston Municipal Building office hours are from 8:00 A.M to 4:30 P.M. Monday through Friday.